The Russo-Japanese war, which began with a sudden attack of the Japanese on Port Arthur on the night of 8/9 February 1904 and virtually ended with the defeat of the king’s fleet in the Tsushima Strait, with merciless clarity showed the backwardness and complete collapse of the Russian autocracy, incompetence and venality of its military elite. But this war showed the world great examples of valor and selflessness of the Russian soldiers, sailors, and the best part of the officers. Shots, sounded in the outer Harbor of Port Arthur, was a prelude to the heroic drama in Chemulpo, where in an unequal battle against the squadron of Admiral Urn die the cruiser “Varyag” and the gunboat “Korean” die with nesuderinami flags, flooded and blown up their teams, who chose death shameful surrender to the enemy. Day 26 of February brought news of another feat: the crew of the destroyer “guarding” opened in Kingston, when after a fierce battle the destroyer faced captivity. Faithful to the oath and duty, Russian sailors died along with their ships, and no stone, or cross, as in the song celebrated the scene of their death. But grateful memory of the people preserves the names of the characters. Now the feat of “Guarding” immortalized in a monument at the Kirov Avenue of Leningrad, the heroic deeds of the destroyer “Terrible” still waiting for their chronicler. We will tell only about the last battle of this glorious ship. “Terrible” — one of a large series of destroyers with four well-remembered silhouette, built in Nevsky Zavod. With a displacement of 240 tons, its length was about 58, width a little more than 5.5 and 3.5 m of sediment In two boiler room housed eight boilers. Two vertical triple expansion machine can reach a total capacity of 3800 HP, allowing to reach the speed of 26 knots. Artillery armament of destroyers consisted of one 75-mm cannon installed on the nose, and three 47-mm guns, set on the sides and rear. Mine had two devices: bow and stern both have rotating shields. The commander of the “Terrible” was just promoted to captain of the 2nd rank forty Konstantin Urusovskii, who arrived from Kronstadt to Port Arthur on the day of the outbreak of war, 9 February 1904. Earlier today, a mechanical engineer of the destroyer became Paul M. Dmitriev. It is under his leadership were collected and tested machines worked flawlessly in battle. Two weeks before the start of the war the navigation officer on the “Terrible” was translated twenty-year-old Midshipman Andrey M. Akinfiev. The last of the officers on the destroyer came Lieutenant Hermias Aleksandrovich Maleev, who began to carry on the duties of the artillery and mine officer. He was the only one who served in the far East for several years and had combat experience. …For several days the squadron of Admiral Togo is not showing the dark sides of Kwandung. Only at night the Japanese destroyers scurrying through the Harbor of Port Arthur, throwing his mines. According to the city, rumors of the imminent landing of the Japanese. To the headquarters of Admiral Makarov received the same intelligence information. They are confirmed by a telegram from our Consul from the Chinese port of Chefoo, which refers to the concentration of Japanese transports with the troops in Korea. If you are interested in boats, we recommend vodoley-market.rualso here you can watch boat motors. Fleet commander understands that, despite the damage suffered, the Russian squadron, the landing of Japanese should not be allowed. After weighing all the “pros” and “cons”, Makarov decides to produce in the direction of the Islands Elliot night search of the destroyers for a surprise attack and destroy enemy transports. If the search provides favorable results, then the entire fleet goes to sea and impose the Japanese battle. 12 April 1904, eight of our destroyers, among which were “Terrible”, breyd-pennant captains of the 2nd rank Eliseev and Bubnov in the gathering twilight stretched out in the Wake of two columns and headed for the island of Spandau. The weather was quiet, the night promised to be dark. But for 22 hours the sky was clouding, went drizzling rain, going then to strong. With this visibility, there was a threat of collision with the enemy head-on. “Terrible” taken all precautions. A servant is charged guns and torpedo tubes. Signalmen, quartermaster and Navigator ensign Akinfeev with rapt attention looking forward. By midnight, the detachment joined the group of Islands. So the haze thickened, and the rain rained continuously formed such a thick veil that the destroyers could hardly distinguish each other. In the beginning of the first hour of the night, the visibility deteriorated. There is a real danger of getting lost in the Islands. After talks with co Urusovskii decided to turn back and headed for Port Arthur. About two o’clock signalmen from “Terrible” noticed in a sea of lights and the silhouettes of six vessels. It could be their own, but with the same success and others. Urusovskii decided to wait and not losing ships out of sight. No sooner had dawn broke, the “Terrible” raised the call letters. At the same moment from the ships, obrazovavshimsya into the thinning fog, struck volley. There was no doubt: it was ahead of the enemies. Four Japanese destroyers and two twin cruiser, reversing fan, began to swear at “Terrible” hail of shells. The forces were unequal. 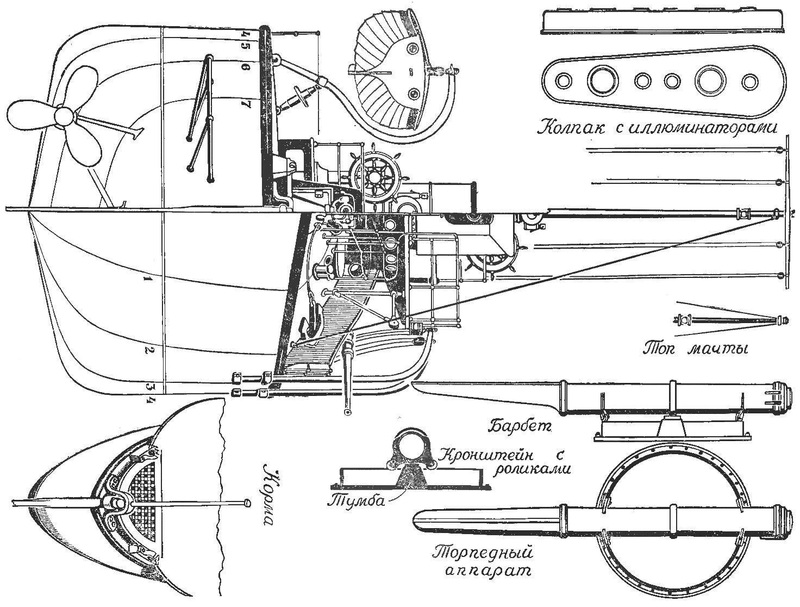 Clearly conscious of this, Urusovskii ordered to develop the full speed and opened fire on the Japanese ships. Remained a faint hope to break through to Port Arthur, and the commander of the “Scary” we decided to use this chance. However, on the side of the enemy was numerical superiority and superiority in artillery fire power and big speed. The Japanese overtook “Terrible”. 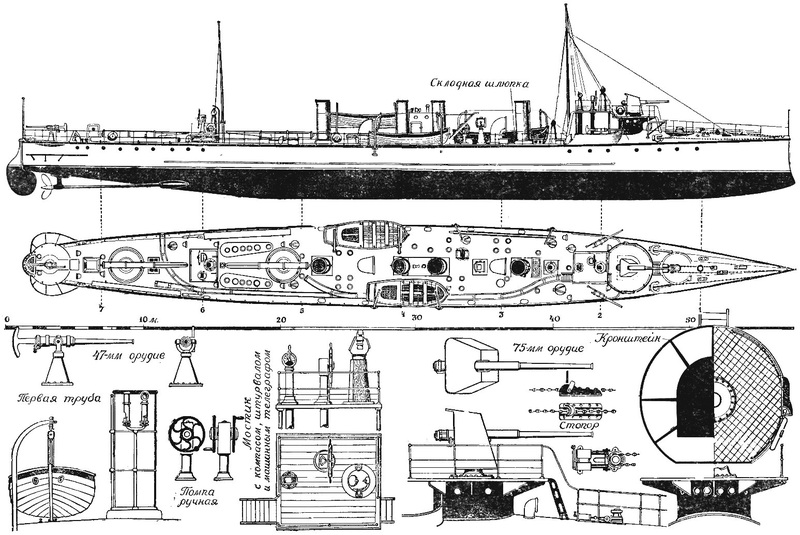 The first six-inch shell hit a torpedo boat, was killed Urusovskii destroyed bow gun. Heavy shells of the Japanese cruisers were quickly destroyed by the destroyer, but his car, despite some damage, continued to operate at full capacity. “Terrible”, without changing course, still went ka breakthrough. The gunners continued to fire. 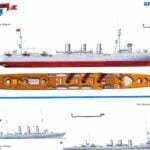 The drawings are for models stored in the Central naval Museum, captain 2nd rank V. I. HUMANZOOM. Lieutenant Maleev, took command of the destroyer, and vigorously disposes of the action team. See it everywhere — but at the stern, to the point. The stress of the battle causes him to forget about ourselves. Struck by shrapnel, falls Midshipman Akinfeev; fewer and fewer and fewer able-bodied people. 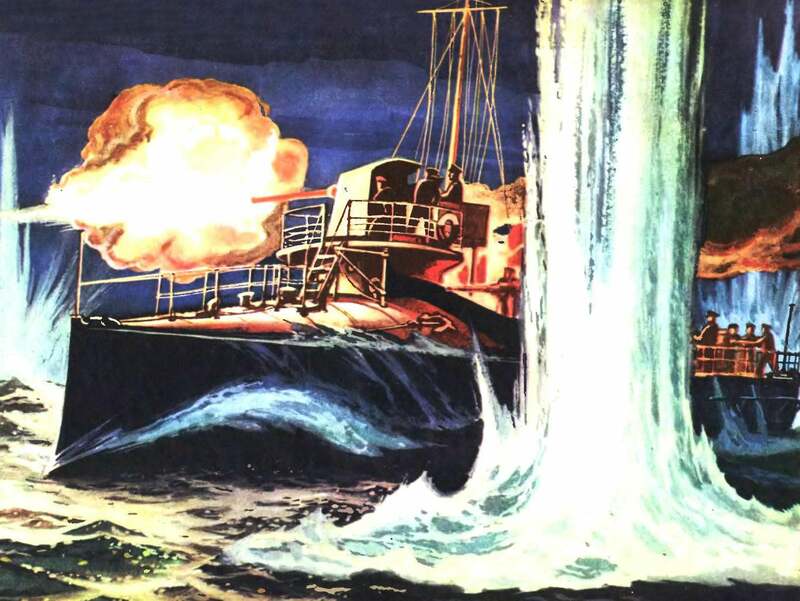 Maleev, seizing the opportune moment, sends out the nasal apparatus of the torpedo a Japanese cruiser. “Terrible”, there is a loud “hurrah!”. The goal stunned. The cruiser settled on the stern, tired and fell behind. To help him came another. The situation has improved significantly. 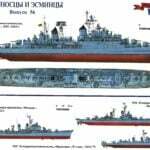 Now only four enemy destroyers haunted Russian ship. Inspired with success, rushes to the stern machine miner Cherepanov, but at this point, the torpedo explodes in the device from trapped in her shell. The results of the explosion are horrible. The deck is cracked and warped. Killed almost all the servants torpedo tubes and aft 47 mm gun. Smashed the cylinders of both machines and killed the main steam line. The explosion killed the engineer Dmitriev. The surviving engine drivers and firemen went upstairs and took part in the battle, replacing the guns of the killed and wounded. Bleeding ensign Akinfeev put in the bag a secret card and signal books, to throw them overboard. But the enemy got a splinter Midshipman in the head. Work completed steering Baranavichy. Japanese ships came to the standing of the destroyer at a distance of 70-80 m and began to shoot him in the face. Lieutenant Maleev, making sure that rescue and assistance nowhere to wait that minute “Terrible” are numbered, gives the order: “Die, but do not give up!” Then ran to pyatitonnoy micralite taken in his time with the Japanese dig, Maleev opened rapid fire on the enemy, breaking the bridge of one Japanese destroyer and shattering the tube of the other. But salvation is a “Terrible” quickly began to take in 6 hours. 15 min. in the morning went to the bottom. The battle lasted nearly an hour and a half. In memory of the heroic death of the destroyer and in honor valiantly died in the line of duty of the commander and the officers of the ship, their names were named four new destroyer: “Terrible”, “the Captain Urusovskii”, “Lieutenant Maleev”, “mechanical Engineer Dmitriev”.